The Ely District outing on Saturday11th April 2015 visited six towers on the border between Suffolk and Norfolk, and included towers in the Suffolk Guild, the Norfolk DA and the Ely DA. Thanks to Sue Marsden for an enjoyable day out. 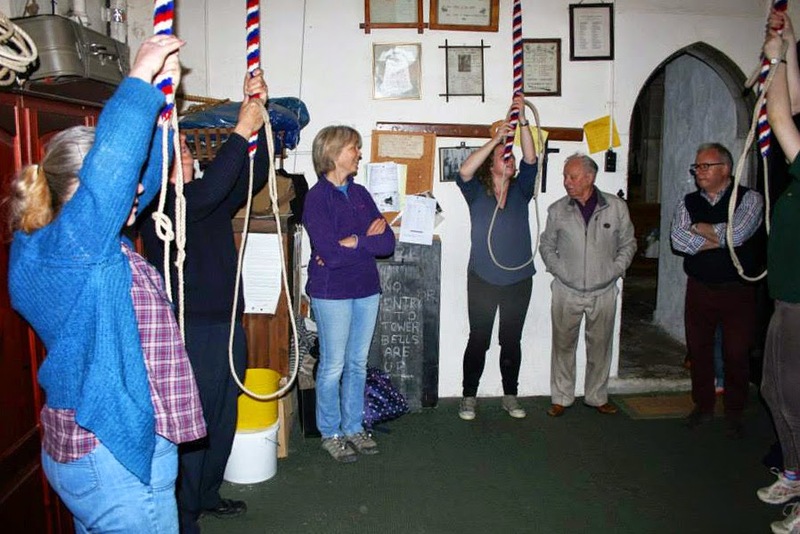 This photo shows some of us ringing at Lakenheath, the first tower of the day. More photos here.